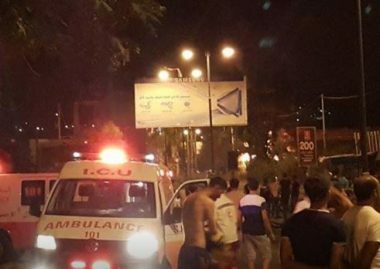 Extremist Israeli colonists stacked and injured, on Saturday evening, two Palestinian men in Hizma town, east of occupied East Jerusalem. Rateb Jabour, the coordinator of the Popular Committee against the Annexation Wall and colonies in southern Hebron, in the southern part of the West Bank, said the assailants came from Mikhmas illegal Israeli colony, built on Palestinian lands, northeast of occupied Jerusalem. He added that the assailants targeted a vehicle transporting Ahmad Mohammad Shawaheen, from Yatta town near Hebron, and Jamil Mustafa Khatib, from Hizma, causing excessive damage, then started beating and striking the two, causing various cuts and bruises. Jabour also stated that the Israeli assailants also stole a sum of cash from the two Palestinians and fled the scene.